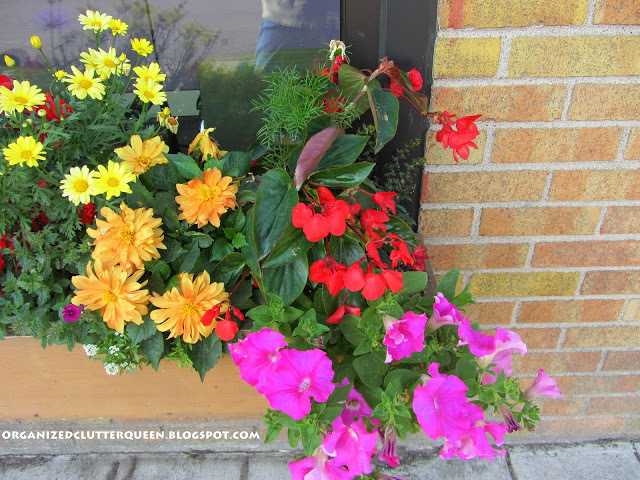 The "prettiest window box in town" is not mine. This honor belongs to my sister in law, Kris. 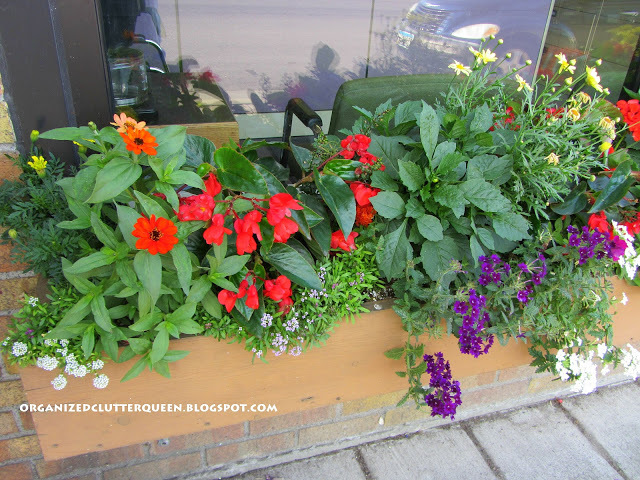 This window box planting is from 2012. 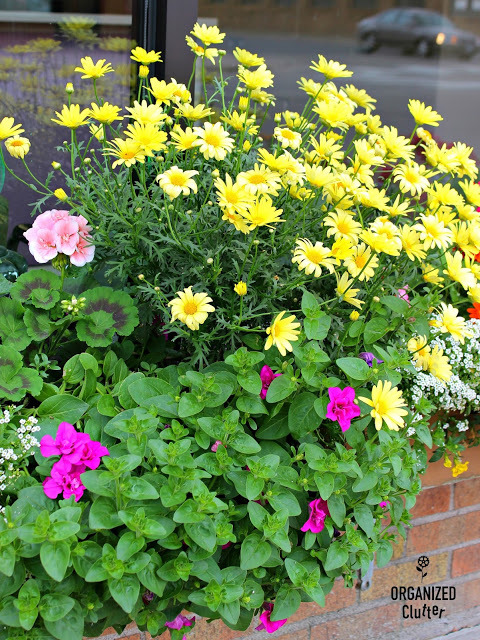 The window box is always bursting with a riot of color even though each year is a little different! 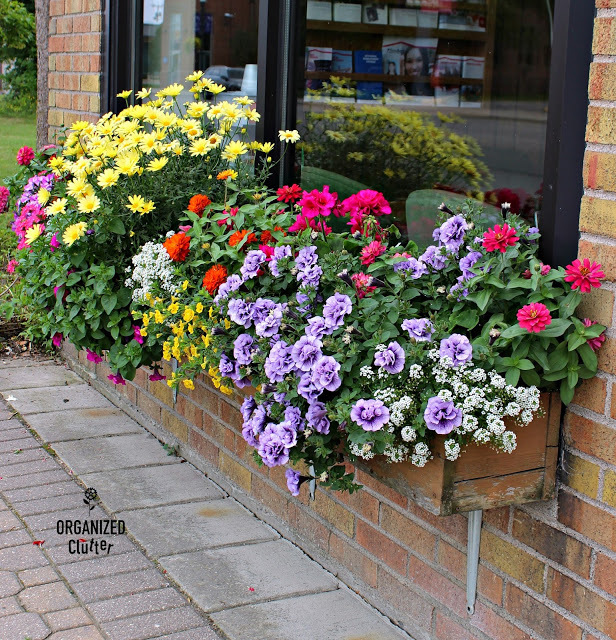 And this beautiful window box is from 2013! 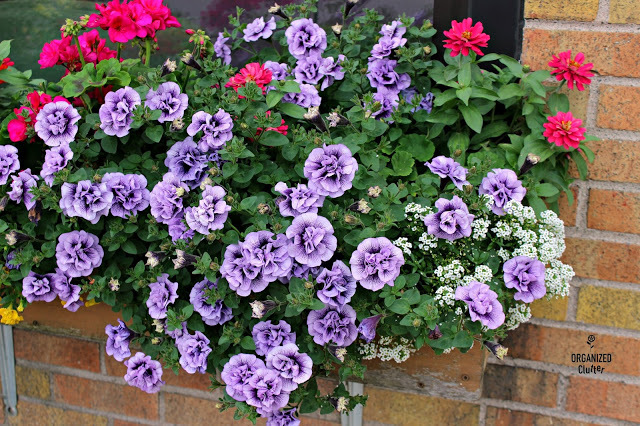 Always well watered and maintained. Here is the window box from 2014! 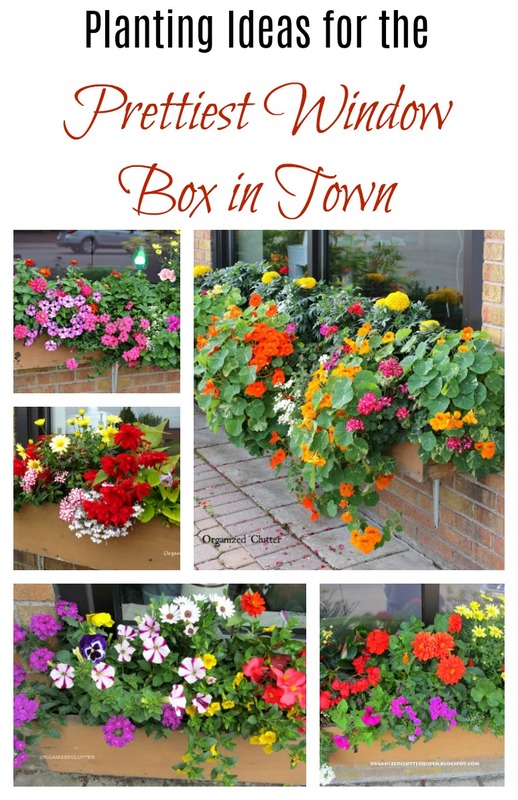 This season's box was gorgeous with begonias and lobelia. 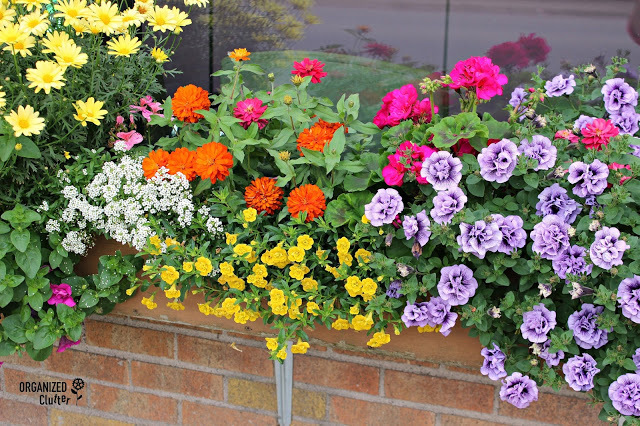 In 2015, the window box was overflowing with Nasturiums! 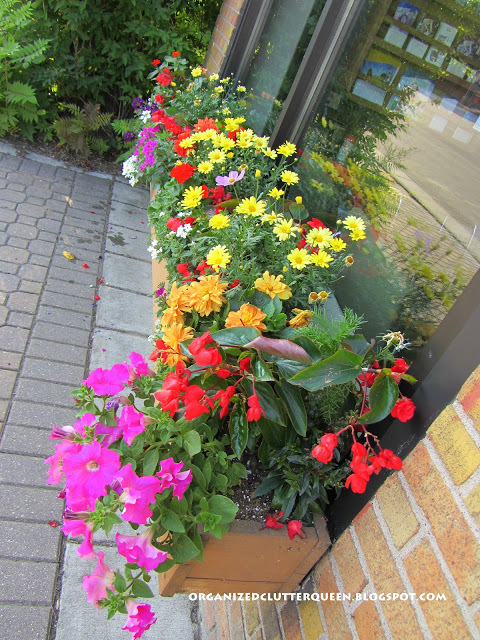 Here is last year's window box! 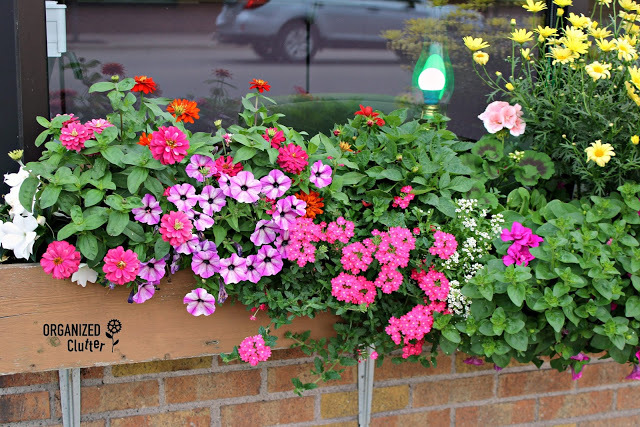 Oh Carlene, Kris's window box looks so fun through the years. 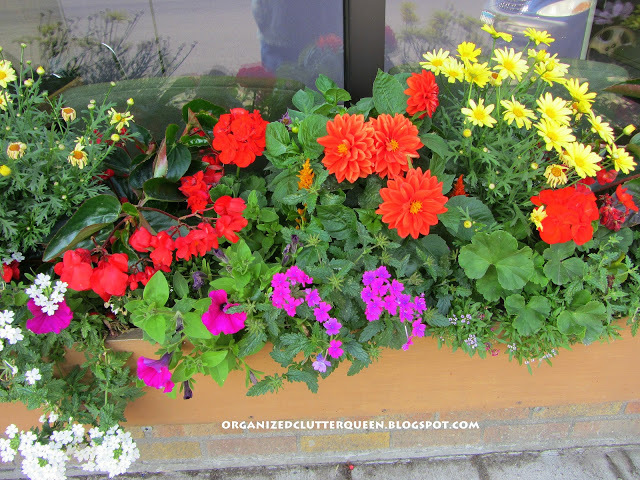 :) Riot of color is right. Last year's is my favorite but the 2015 nasturtiums look so tasty!